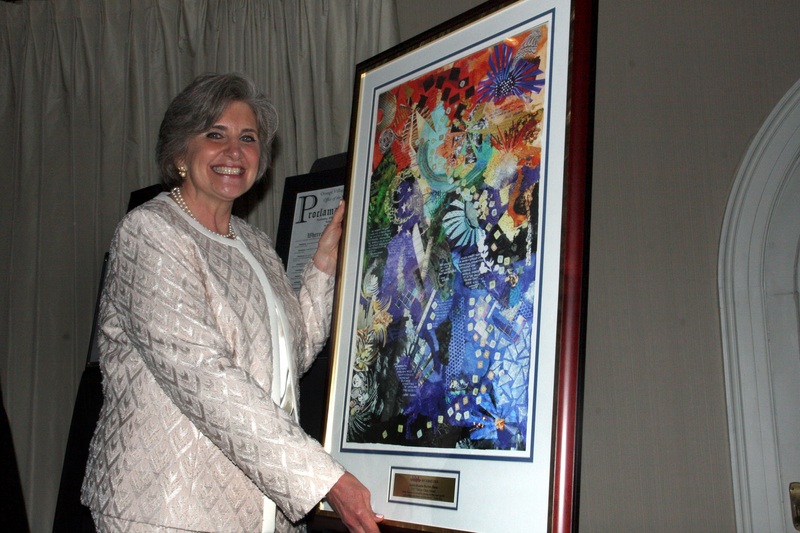 Rabbi Rosette Barron Haim honored at annual event; Attorney Donald S. Burris talks about recovering stolen art in “Woman in Gold” case. Rabbi Rosette Barron Haim receives her gift. Rabbi Barron Haim was honored for her outstanding service to the Jewish community in Cleveland and beyond. She is the longest serving community rabbi in the area, having joined The Temple-Tifereth Israel in 1988. In addition to active involvement in the life of her congregation, she is a member of the boards of Cleveland’s Jewish Community Federation and Jewish Education Center. 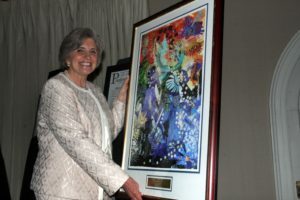 Rabbi Barron Haim was presented with a painting by North Carolina artist Galia Goodman on the theme of Tikkun Olam (repairing the world). The Cleveland Council also produced a special video presentation with tributes from the rabbi’s family, friends and colleagues. 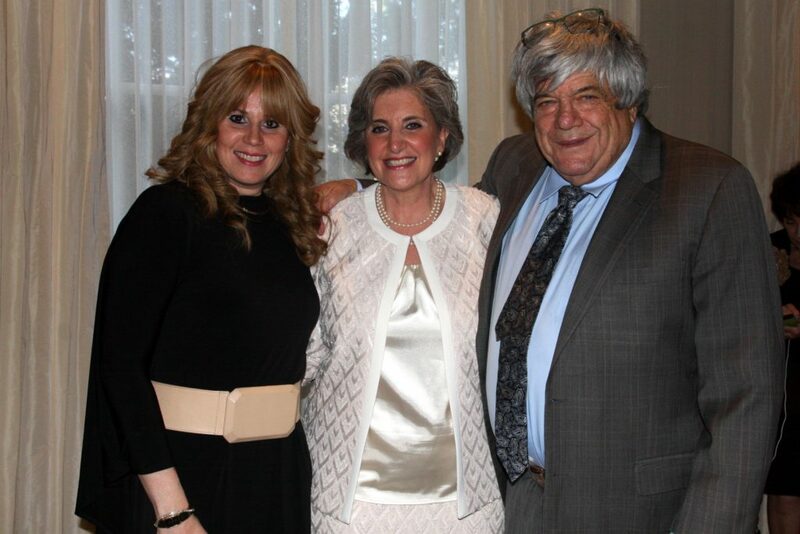 Gaylee Cweiber, Rabbi Rosette Barron Haim and Donald S. Burris. The more than 300 people in attendance included NA’AMAT USA President Chellie Goldwater Wilensky and several local dignitaries. Orange, Ohio Mayor Kathy Mulcahy introduced Donald Burris. 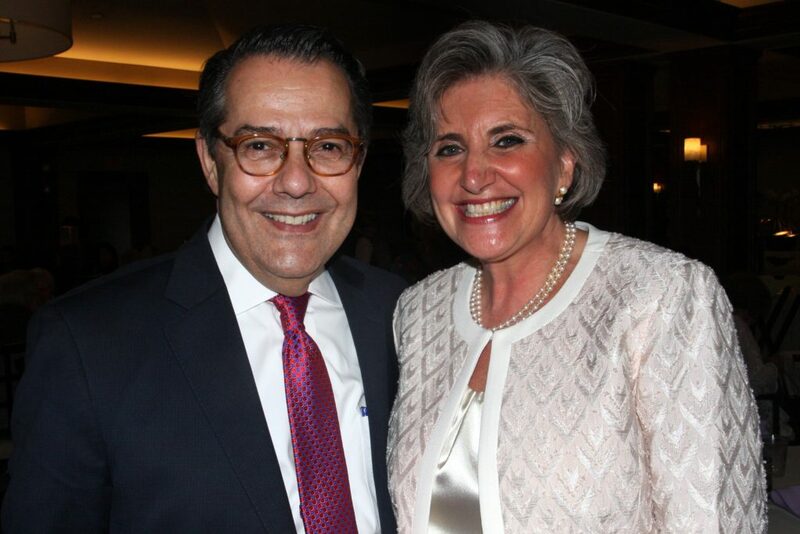 Also on hand were August A. Napoli, President and Chief Executive Officer of United Way of Greater Cleveland, and Milton and Tamar Maltz, founders of the Maltz Museum of Jewish Heritage in Cleveland.